One of my goals for this year has been to get caught up on my TBR pile. If I'm honest, it's been a goal of mine for many years but it's only been recently that I've really concentrated on trying to reduce that number to something more manageable. I've culled what I can from my shelves. I've taken on a guest reviewer to help me get through some of the review books. I've challenged myself to read 10 books every month that I've acquired myself. And despite a reading slump that lasted for a pretty long time, I am still getting through a LOT of books this year. So you'd think I'd have made a considerable dent in the number of books I have waiting for me unread. You'd be wrong. I still have over 100 books that weigh on my conscience. I'm buying too many books, I'm requesting too many books from NetGalley. More things definitely still have to change before I'll be happy with the number of books on my TBR shelves. But I'm trying not to let it panic me too much. Instead, today I'd like to talk a bit about the books that I'll be reading when I feel like my TBR pile is more manageable. World Book Night happened months ago and it was a great success. There were several books that I'd have loved to give out, but I'm super glad that this was the book that I did give out. I told N about the book and even though he's a total non-reader, he said he would give it a go. I've already heard back from another woman who I gave the book out to who said she hadn't read a thing in three years but she loved The Knife of Never Letting Go so much that she's placed a reserve in the library on the sequel. She's hooked. I love that. When I found out I'd be a WBN giver, I did think to myself that I really wanted to re-read this series so that my memory was refreshed of its awesome so that I could be more convincing to the strangers I was trying to foist it upon. I didn't feel as though I had the time, and for that I feel a bit bad. I still want to return to this story. 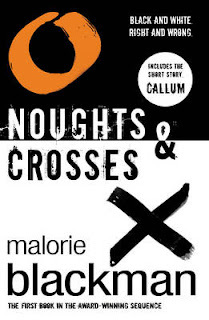 Noughts and Crosses by Malorie Blackman is a book (and series) that I read before I got into book blogging. Right from the start I really felt swept away into this story. I loved the characters and the issue of race that is brought up. As the series goes on, it's all very angsty and emotional and is definitely not 'light-reading' but I loved each of the books and couldn't tear myself away as I was reading them. They were all very emotional. Noughts and Crosses was also a World Book Night book this year and was my second choice. I would have loved to have shared it with people. I really wanted to re-read the book for that reason as well as the fact that the new book club that I've joined locally chose it as one of the books that were discussing. The fact that they were reading such an incredible YA book was one of the main reasons that I decided to join them! Oh how much did I love reading Raw Blue?! I'd heard rumblings about this book from other book bloggers but I never looked that much into it. Then randomly I saw that it was listed on a book swapping webiste I use and on a whim I sent a request for it. Soon, I had a copy of the book and started reading. 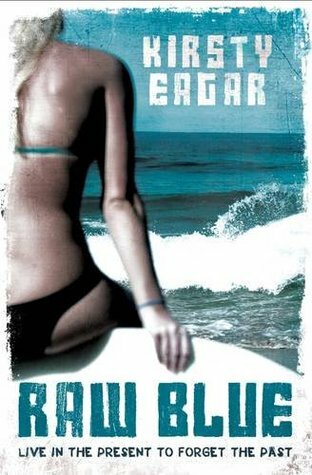 I really thought that this book would be a pretty light-hearted read about an Australian girl who likes to surf and maybe it'd be a book about her falling in love. And yes, it is those things but it's also a book about so much more. This book is very raw and emotional and I got swept away into the pain of Carly's horrible experience and in this new relationship she starts up with Ryan who has issues of his own. 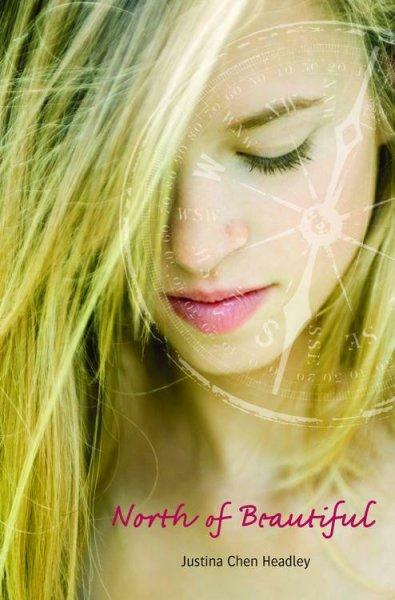 I loved everything about this book, but especially about how while the aspect of love and this relationship between Carly and Ryan is at the heart of this book, it's more about Carly accepting what she's been through and finding a way to move on from it by healing herself before she can be with anyone else. I love that. I recently won this in a Twitter competition (after swapping my initial copy with someone else!) and as I thought as I'd read Raw Blue already maybe I'd host my own giveaway here on the blog. But once I had it in my hands again I realised that I didn't want to part with it again. It means too much to me now. 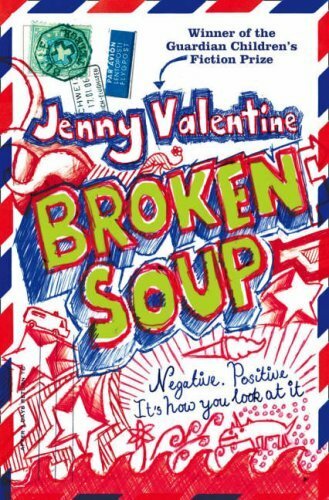 I can't even remember how or why I first picked up Broken Soup to read. I know I hadn't heard anything about the book or the author before I read it. It must have been a total whim that made me check it out from my local library, years ago, before I really properly began blogging about books. But I loved it so much. I can't even remember the details about the book that well. I just have this lingering sense of how it made me feel. And the majority of how I was feeling was inspired. I hadn't thought about writing fiction again since I was an early teenager but then I read this book and it made me want to write a book myself. One that felt real and emotional like Broken Soup. Not much has come from my writing yet, but I still hold onto that inspiration and that hope that book brought me. I want to read this book again and see if that magic is still there. I want to remember the little things about this book that made me feel the way I did. 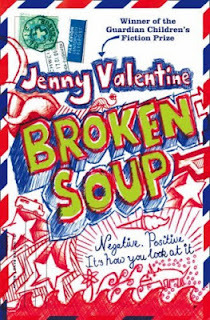 I want to remember why it was that I went out immediately to pick up Jenny Valentine's books and why I'll always have this soft spot for Jenny Valentine. I recently picked up this book from a charity shop and it feels right to have it part of my collection of books. I love this book so much. I love how much of it is about image and how what we look like affects our perceptions of ourselves and how other people think of us - from Terra's facial birthmark, Jacob's Goth appearance, Terra's mother's large size. But there's also some wonderful elements of travel and adventure and artwork. This is another book that really inspired me. To look into geocaching, to visit China, to maybe work on my own collage that I'd be able to spill on my emotions onto. Plus bonus points for having a gorgeous Asian boy as the love interest. Like many YA fans, I'm huuuuugely excited about the film adaptation coming out this August. I need to see it desperately, if only to quench my desire to see Gofrey Gao as Magnus Bane. That one second glimpse of him from the extended trailer has been driving me CRAZY. 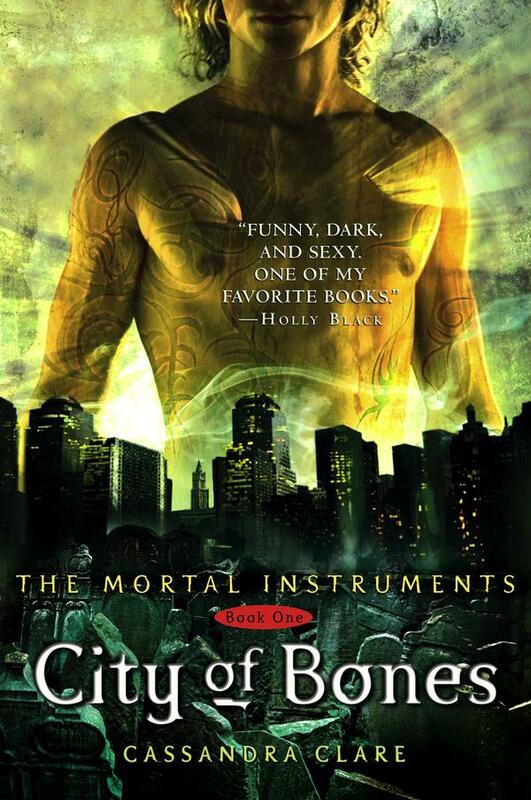 And now that I've finished The Infernal Devices trilogy it makes me feel different about The Mortal Instruments. I feel like I could read those books all over again and see things very differently. I want to see more Magnus and Brother Zachariah. So I feel like even if I have ten million review books on my shelves in the next few months, I'll still re-read this book. No matter what. Are there any books you'd like to re-read if you had the time? I'd love to re-read the entire Mortal Instruments series, particularly before the final book is released, but I doubt I'll have the time to! I really want to re-read If I Stay and Where She Went by Gayle Forman, but I know that I can't re-read them when I have tons of unread books sat on my bookshelf! Ooh, I'm such a huge fan of Gayle Forman's! And I love, love, love If I Stay and Where She Went. Re-read? I'm not likely to get round to that very soon. I'd just like to find time to read all the books I've picked up here and there - those I've bought, library books, competition wins, some picked up through Bookcrossing - and that lot doesn't include the review books which threaten to fill the house! I know the feeling maryom :( I'm doing my best to get the number of unread books that I have under control too. I recently went through and was brutal about weeding out the books I'll never get to and I have a lot of review books going to my two lovely guest reviewers so that takes some of the pressure off. I will be a person who re-reads very soon! I hope. Rereading is so comforting, I find. It'll be nice to feel like I have the time to do that soon .. I seriously miss re-reading. I used to do it all the time! 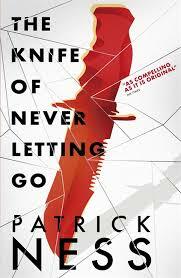 I'd love to re-read Broken Soup and CoB and read The Knife of Never Letting Go for the first time! Ooh, you've not read The Knife of Never Letting Go? It's amazing!